Technology has connected people across seven continents and made this world a Global Village. Connectivity has its own benefits but it has brought along the risk of fraud and theft of vital information available on the web. Businesses are increasingly becoming vulnerable to cyber-attacks and the threat looms large for not just the companies that are less equipped to handle it but even the large firms. As per the Cost of Cyber Crime Study 2017 – Insights On The Security Investments That Make A Difference published by Accenture, a leading global professional services company, The accelerating cost of cybercrime means that it is now 23 percent more than last year and is costing organizations, on average, US$ 11.7 million. Also, Forbes reports that cybercrime will approximately cost $6 trillion per year on average through 2021. This grave threat accentuates the need of cyber investigation which can help in tackling cyber-crimes to a certain extent. Today, businesses need to be even more diligent towards cybercrimes and conduct cyber investigations to detect and respond to the virtual attacks. Companies can work on it with these simple tips and principles. Understand The Problem – Companies need to have a better understanding on the types of cybercrimes, what causes it and how it can affect them. This can help them gain a better insight as to how they can prevent as well as protect themselves from cyber-attacks by taking a targeted action. They also need to cognize their employees about the possible threats that may arise when a particular site or system is used. Hire A Team Of Specialists – Cyber-attacks detected after months and years can lead to humungous loss. So to ensure regular monitoring and check, hire a team of cyber specialists dedicated to the task of cyber investigation and security to make sure your vital business information is safe. Collect Evidences – Every crime needs to be validated with evidence, so document everything. Documentation presents the entire information, right from the initial findings to ways in which the situation has affected the company, so make sure that no critical information is missed. Combine Human And Machine efforts – Automate the tasks that can be performed by machines and make the professionals work on complex things that require judgement, intuition and dexterity. This is a strategic move that can help in optimization by reducing human effort which can now be channelized towards tasks that cannot be done by machines. Be Pro-Active – Search for the attackers pro-actively. Rapidly hunt for attackers to prevent cybercrime. Always be a step ahead from the cyber attackers. Create a seamless Investigation Workspace – Investigation workspaces allow analysts and investigators to build an attack story as they get to access information from every sensor and can perform network and endpoint forensic. 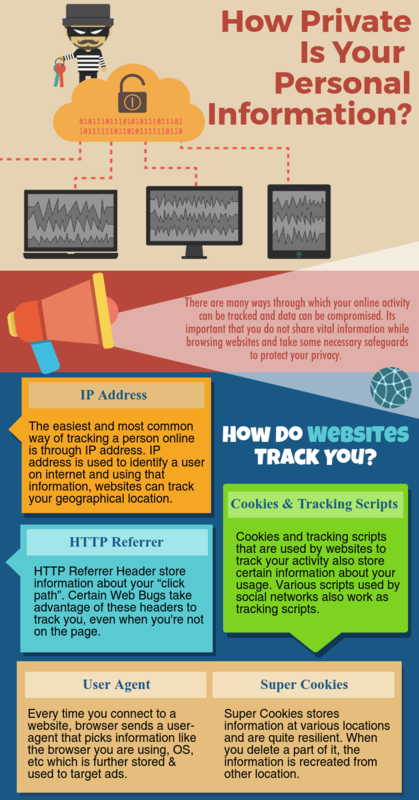 Thus, with these simple cyber investigation tips, a business can make an effort to protect itself from cyber-crimes. It is high time that we adopt a new approach to cyber security and defense as data breach and loss can be a huge financial and reputation hit to your company. Your digital footprint includes all activities that you perform online. Right from posting comments/ photos/ videos on social media to online subscriptions and blog post updates, the internet tends to keep a record of everything that you do online. In order to keep your data safe from cyber criminals as well as to prevent ID thefts, you must be cautious of what you post online. Utilize Privacy Settings: Keep a check on privacy settings on all your social media accounts to manage who all can view your information. Facebook for instance, provides you an option to either display your posts to specific friends, to entire friend list or to public. It is strongly recommended to not make all your posts visible to everyone. Similarly check the privacy setting on other platforms too. Don’t Overshare Information: In order to avoid any issue pertaining to your digital footprint at a later stage, it is best not to overshare information. This is applicable to all networking sites and tools because sharing everything with everyone may land you in trouble. Always keep your usernames, passwords, photographs, addresses and other sensitive information up to you only. Manage Cookies: If you check your browser cookies, you will be surprised to note that multiple cookies have been sent by sites that you are not even aware of visiting. You can control this by blocking third-party cookies or enable plug-ins that help to prevent such cookies. Understand That Online Content Is For Eternity: Anything that you post or upload online is likely to be there forever. Although it is out of the public view, your content can still be viewed through other means. Even deleting your account does not ensure all the information is wiped out as it can be found in archives and databases. Thus, always think before putting up anything online so that it does not impact you negatively later on. Know What Others Are Posting About You Online: For this, adjust the settings on your social media profiles to get notifications when someone tags you in a post or picture. Whenever someone comments on your posts or shares content, you should instantly get to know about it. Enable the setting to first approve the posts before they are available for public viewing. Reviewing the posts ensures that no irrelevant or harmful content is posted with your name in it. To maintain a positive digital footprint, it is important to be selective about who all are authorized to view your information. For more tips, contact Centex Technologies at (855) 375 – 9654. General Indications: Most of the hackers try to breach the web servers by attacking the web applications to exploit any loopholes. In order to identify such attacks, you need to keep a check on signs such as multiple ‘404 page not found’ or ‘500 internal server error’ reports in the web server log. Your Website Has Been Blacklisted: If your web server has been attacked and is sending out spam, there is a good chance that it has been blacklisted in search engines and email lists. The visitors on your website may get a message that the site cannot load. It will also become impossible for the end user to reset passwords as sending a reset password email will not be feasible from your end. The Presence Of Web Shells: Web shells are files through which hackers can easily execute other files on the system. Mostly in the form of text, web shells can be easily masked among other files on the system. It is accompanied by extensions such as cmd.aspx or commandshell.php that gives out a code which can be used by the hacker to gain access to your website. Unexplained Server Activity: Keep a regular check on the website so that you can immediately identify any suspicious activity. For instance, your email server process may show high volume of received emails whereas there may be no active visitors on your site. You could also see a Perl script running on your server even though you don’t use it. This is another sign of unauthorized access to your server. Attack On Administrative Interfaces: Almost all the web applications have an administrative interface which can be targeted by hackers in order to reach your system. Watch out for telltale signs such as repeatedly failed login attempts, changes in the account or modifications in the application configuration. This can help you identify if your servers have been compromised. We, at Centex Technologies, can provide businesses with effective network security solutions. For more information, feel free to call us at (855) 375 – 9654.